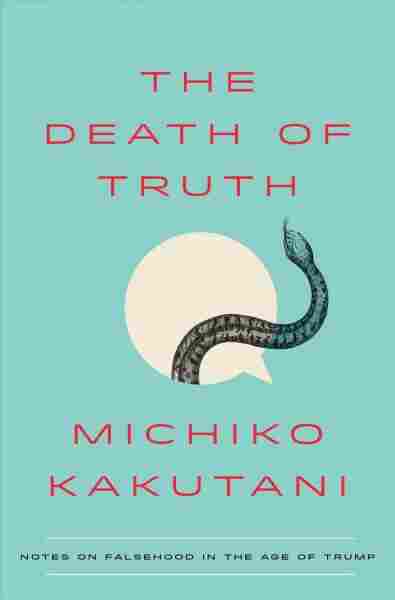 Without Breaking New Ground, 'The Death Of Truth' Is Convincing In her new book, former New York Times book critic Michiko Kakutani suggests that truth should be added to the list of casualties of the Trump administration. Ever since the election of Donald Trump as president, pundits have written obituaries for just about every virtue there is. The president's victory and the policies he's enacted, some commentators have argued, has marked the death of civility, tolerance, dignity, freedom and the American dream itself. 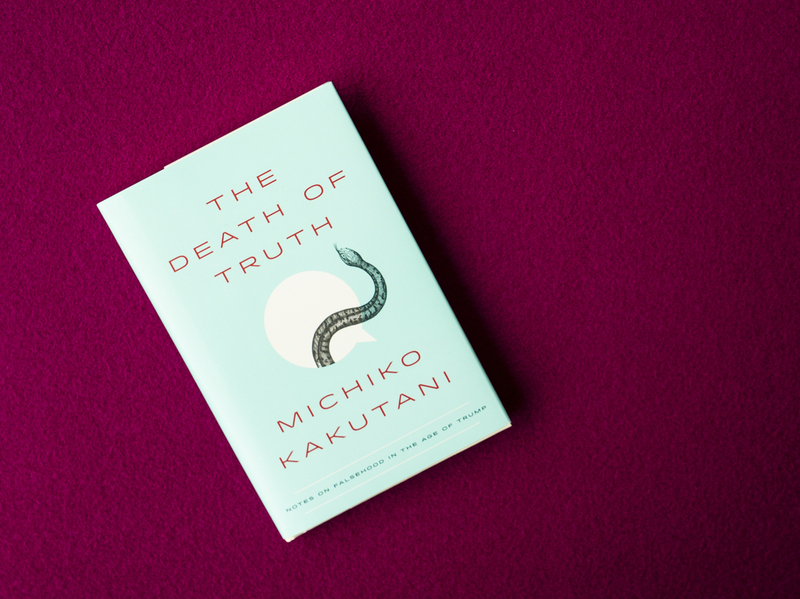 In her new book, former New York Times book critic Michiko Kakutani suggests that truth should be added to the list of casualties of the Trump administration, asking, "How did truth and reason become such endangered species, and what does their impending demise portend for our public discourse and the future of our politics and governance?" The Death of Truth is a slim volume that's equally intriguing and frustrating, an uneven effort from a writer who is, nonetheless, always interesting to read. Kakutani's book is as much a work of cultural criticism as it is a denunciation of the 45th president, whom she calls "a larger-than-life, over-the-top avatar of narcissism, mendacity, ignorance, prejudice, boorishness, demagoguery, and tyrannical impulses." Unsurprisingly, Kakutani turns to literature in her attempt to make sense of the post-truth Trump era. She contends that America is in the midst of a period marked by what author and historian Richard Hofstadter called "the paranoid style" of politics — that is, an obsession with conspiracy theories and a pervasive-but-baseless sense of values under attack. So far, so good, but then Kakutani pivots to postmodernism to explain the rhetoric of Trump and his supporters. Quoting from a 2005 David Foster Wallace article about the increase of news outlets, Kakutani writes that the late novelist's words "uncannily predict the post-Trump cultural landscape, where truth increasingly seems to be in the eye of the beholder, facts are fungible and socially constructed, and we often feel as if we've been transported to an upside-down place where assumptions and alignments in place for decades have suddenly been turned inside out." Postmodernism and its cousin, deconstruction, have ushered in an era of nihilism and relativism, Kakutani contends, though she stops short of blaming the movement for the rise of Trump. "[S]ome dumbed-down corollaries of their thinking have seeped into popular culture and been hijacked by the president's defenders, who want to use its relativistic arguments to excuse his lies, and by right-wingers who want to question evolution or deny the reality of climate change or promote alternative facts." It's intriguing, if not entirely convincing. Deceit in politics and fiery reactionary rhetoric predate postmodernism, and it's fair to say that the majority of those showing up at Trump's rallies (or the majority of people in general) don't make it a habit to read the works of philosopher Jacques Derrida. To be fair, Kakutani acknowledges this, but the connection she draws between postmodernism and Trumpism still seems too tenuous to be of much use. Kakutani finds herself on stronger footing when she discusses the linguistics behind Trump's speeches and tweets. The president is often criticized for rambling and using vague language; Kakutani notes that "[p]recise words ... mean little to Trump." And she addresses Trump's frequent misspellings on Twitter, arguing that his typos "are indicative of his impulsive, live-in-the-moment, can't-think-about-the-fallout posture." ("Covfefe," of course, makes an always-entertaining appearance in this chapter.) And she makes the case that Trump is essentially an Internet troll — but it's an observation that is hardly original. Unfortunately, that's the case with so much of The Death of Truth. Kakutani is clearly sharp, and her arguments can be convincing. But nothing in the book breaks new ground. That's one consequence of having a president who is strongly criticized by many: There are only so many ways to call Trump a liar — and that particular well has been dry for a while now. That's not to say it's pointless to point out the president's dishonesty, but journalists have been doing that in real time since the beginning of Trump's campaign. The Death of Truth isn't a bad book by any means. Kakutani is a remarkable writer, one of the best living American literary critics, and she has a gift for memorable turns of phrases — at one point, she compares Trump to a "manic cartoon artist's mashup of Ubu Roi, Triumph the Insult Comic Dog, and a character discarded by Molière." As an overview of Trump's famously tenuous relationship with the truth, it's perfectly serviceable, but as a cultural criticism of Trumpism and the state of veracity in America today, it never really gets off the ground.